Since the shake-up of the brake relations was carried out although the nisshin semi-radial was used, dissatisfaction with the part assigned to one is felt, and it gives radial one in exchange. 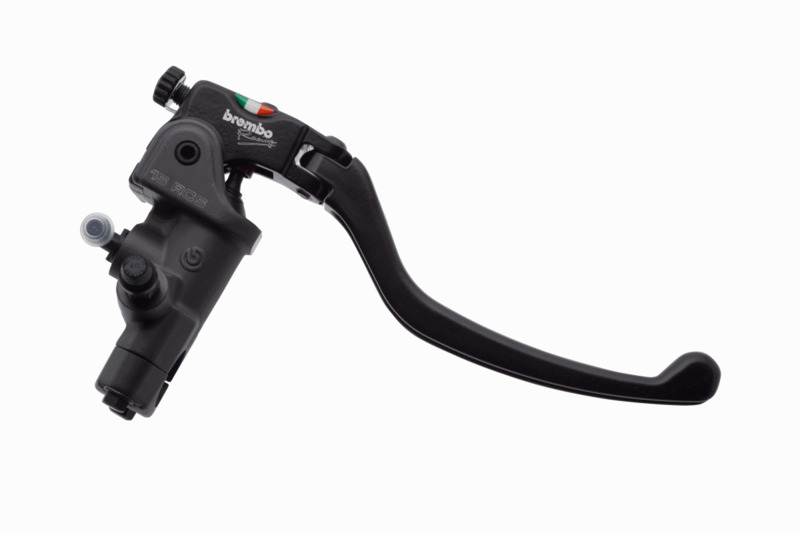 Since the shake-up of the brake relations was carried out although the nisshin semi-radial was used, dissatisfaction with the part assigned to one is felt, and it gives radial one in exchange. Great sticker I am very happy with this awesome sticker from Brembo. It's great quality and it definitely deserves 5 stars. Looking forward to put in on my bike. worth it Although it worked if it clasped in OEM, it has sense of uneasiness because it is different from other owned Motorcycle and too much Touch, and dare for Touch dare to purchase with the same Piston diameter as OEM. Obvious from the PinSlide formula to the opposite formula Touch made it Snap. Also, since Brembo caliper has never seen rust sticking to Piston, it is also highly valued. Because I would like to go through the forest road, Hose dare to exchange as a new OEM. Texture is unquestionable It is now in fashion, I was impressed with the past, I thought that I could not put on my Motorcycle and I stepped on my foot. Texture is unquestionable, since I wanted to unify as much as possible around Handlebar, I got it as Image. 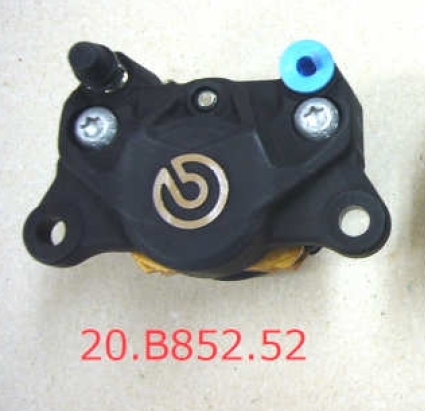 The appearance was refreshing With the exchange of Wheel OEM Caliper can not be used and replaced. Although it was clear and looks lightweight, it is often said that the street braking power that is often told is low even after Atari arrives. It seems there is a feeling of incongruity if people who use Rear on a daily basis. RGV250Γ (VJ22) It was good to choose Rear ♪ I used Rear brake in Hard for Circuit and Fluid was oozing out from Hose at the base of OEMMaster cup, so I decided to replace it. 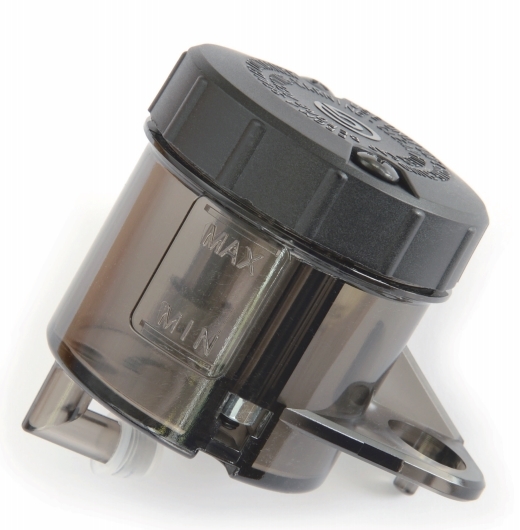 I dislike OEM's square shape, I thought that Master cup should be round.
? The container is transparent, so the contents can be seen and it is very easy to maintain.
? The top cover's Black Cap is tightened securely.
? Texture is somewhat cheap feeling, but Material is aged "Pakit!" It was seen as a Material that does not become. Replenishment at the time of bleeding is not enough to replenish that much Large change enough capacity. There is no instruction manual. 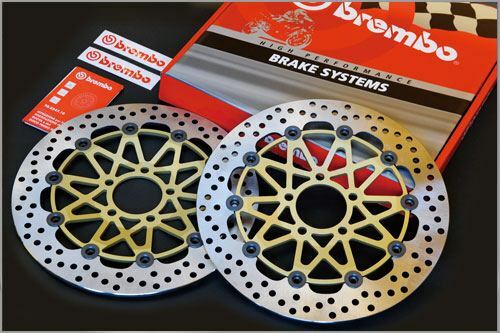 The final decisive factor is "Brembo" It was Brand. It is a cheap texture, I think this is the intention of Manufacturer. Because it is cheap, regularly buy replacement demand arousing ? ? ? ? Since Manufacturer is responsible for releasing it as a product as a product, so it is okay to rest assured. Heat resistance of OEMPlus α to Hard Breaking Absolute braking force does not differ from OEM and Large, but from OEM 0. Because the heat capacity becomes thicker by 5 mm, the sense of stability is increased considerably in Circuit which overworks Brake such as Twin link Motegi. In OEM, Lever comes in about 7 laps, but this Rotor seems to be still durable even after 10 laps. I got lost such as Nisshin and Flanders, but decided on high quality brembo. It was troublesome to consider the length of Brake hose. Different from landscape placement and because we changed Large by handling. Because the gold price is high, we will add Hose and Hose clip to Quantity : I want you to set it. Translation also into Instruction Manual (Please enter here, so be safe!